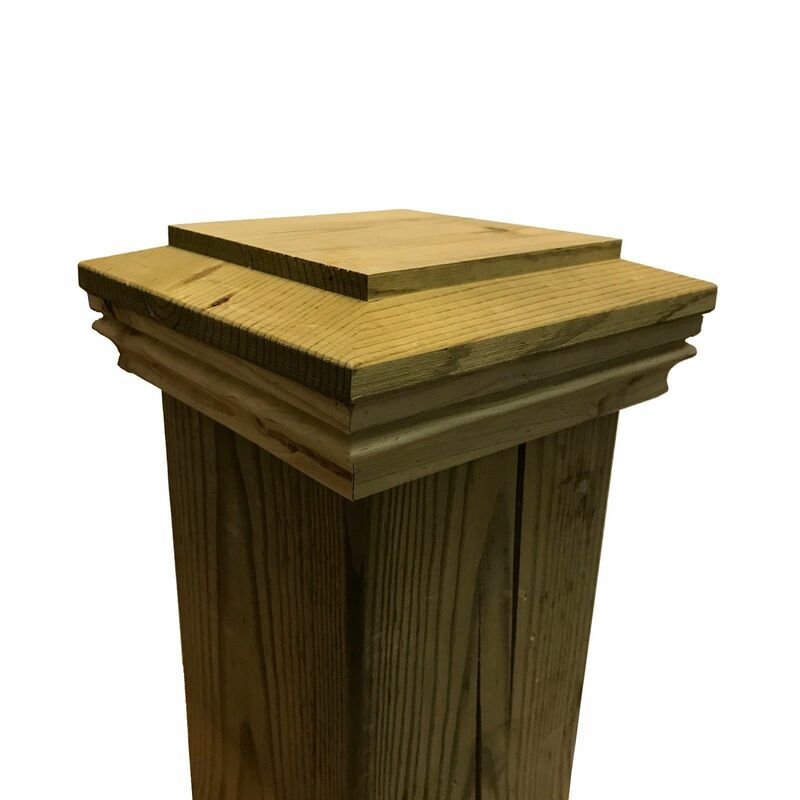 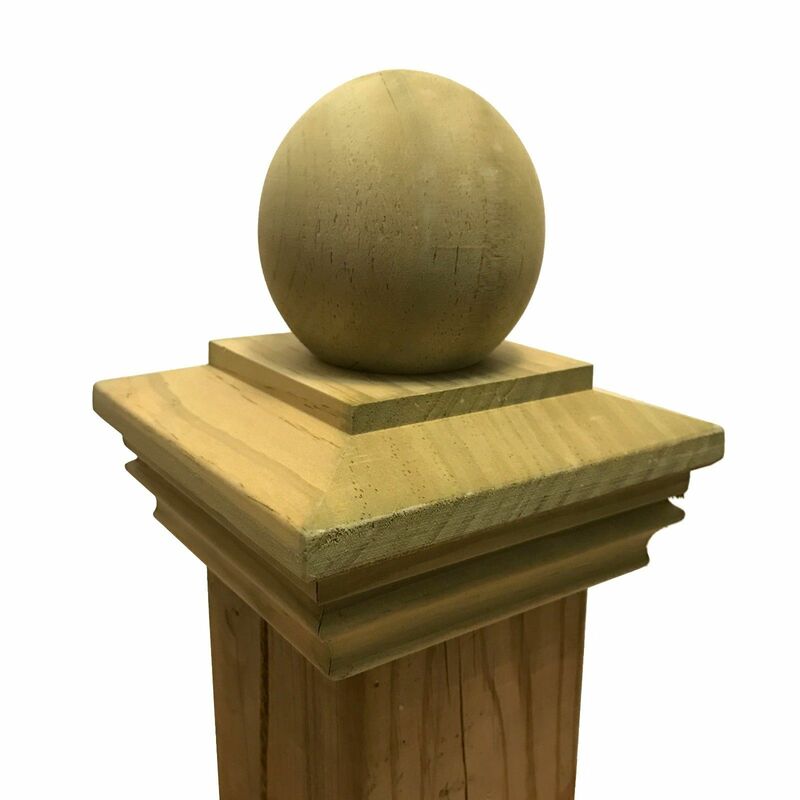 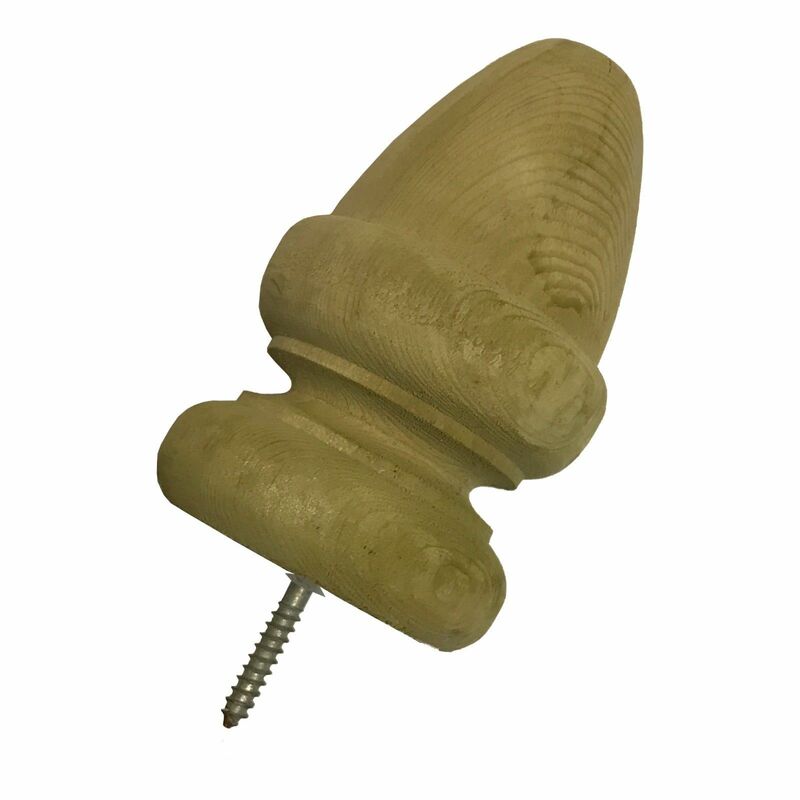 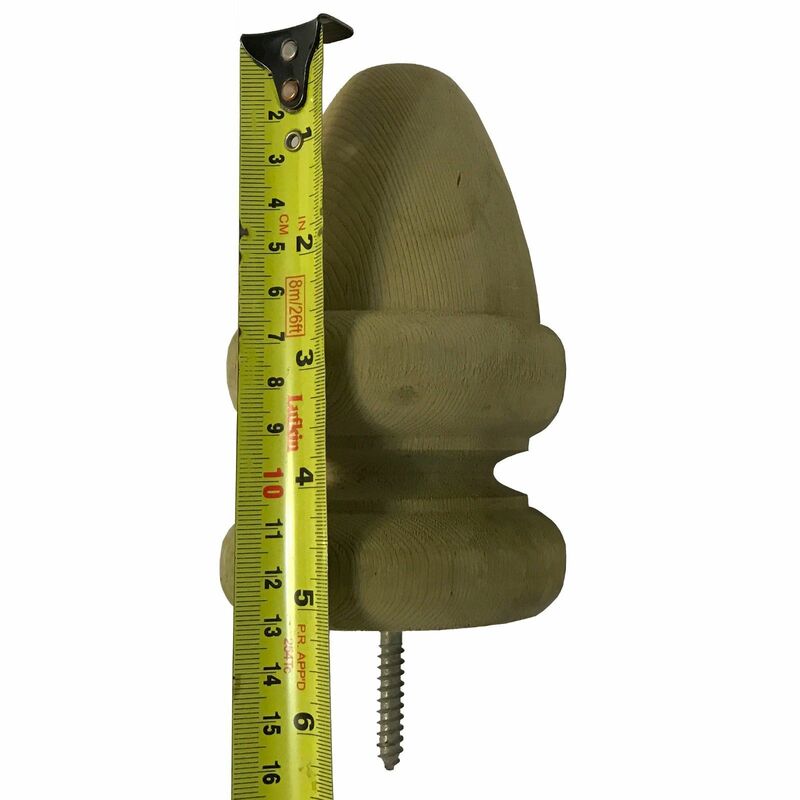 Pressure Treated Wood Acorn Top Finial can be painted or stained to match posts. 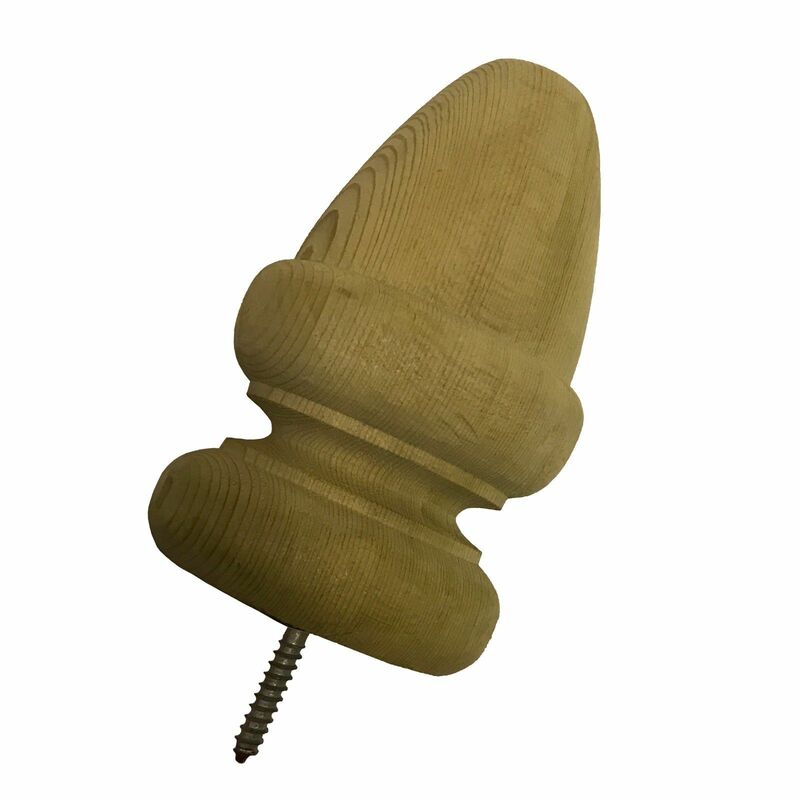 Can be stained or painted. 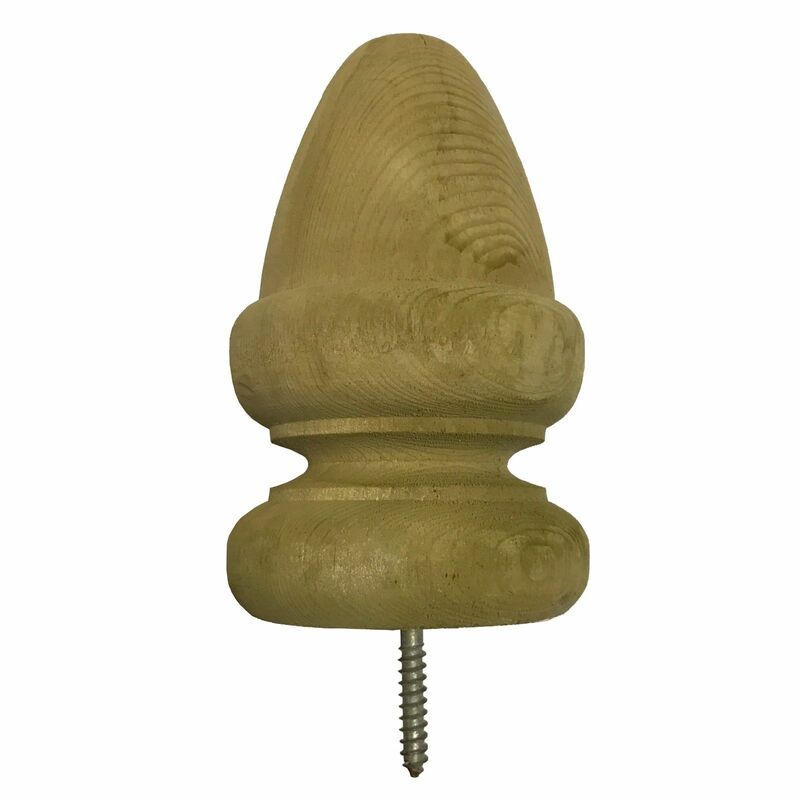 Coating wood Acorn Top Finial with a high-quality exterior finish is recomended for improved product durability. 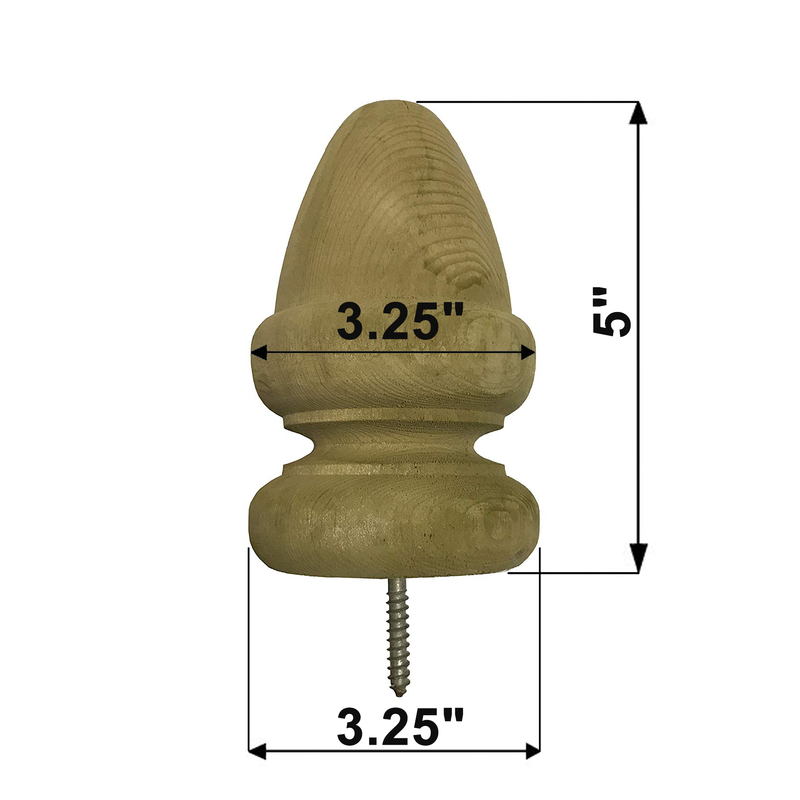 Note: due to differences in lumber, each post cap may be slightly different in appearance. Due to the nature of the wood, the product may have, or may develop small cracks over time. 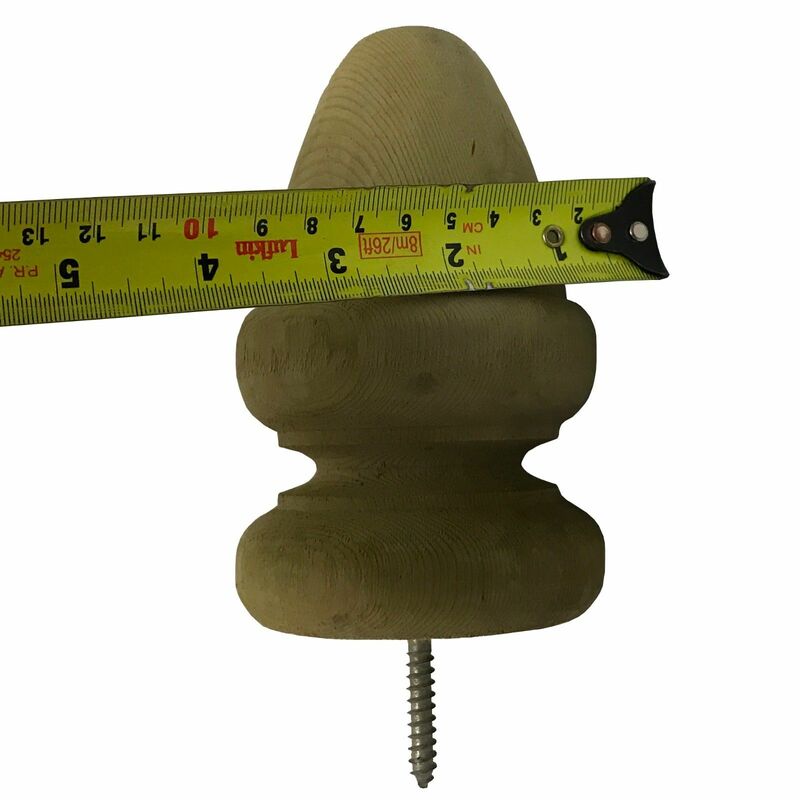 Slight differences in product dimensions may occur during the manufacturing process, due to the nature of the wood which can gently swell or shrink. 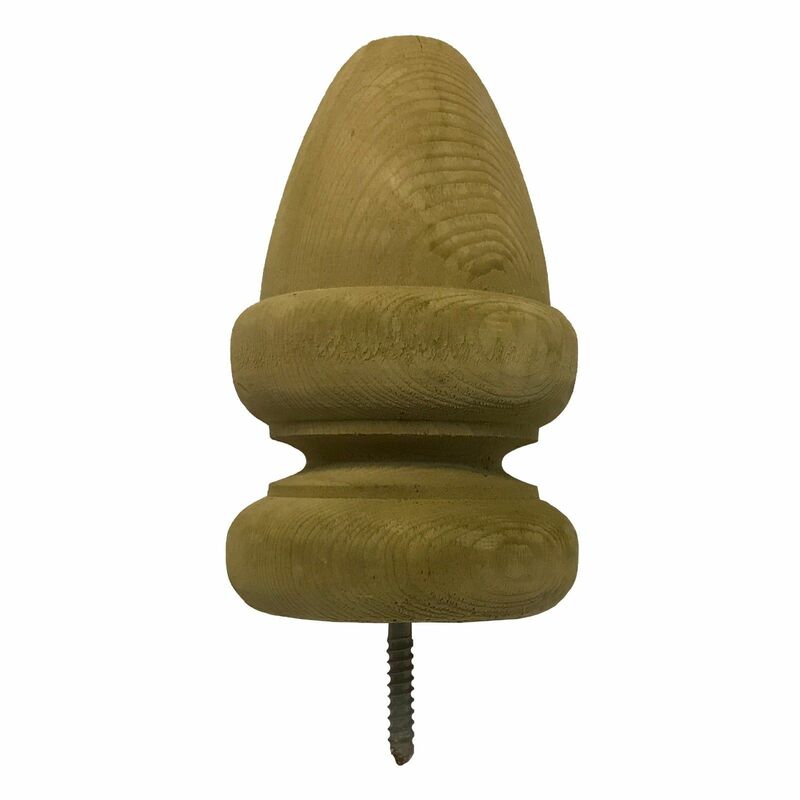 This product is intended for outdoor use, the finish may be too rough for some indoor applications.